Personalize this Canvas for a close friend or family member to show them how much you care. Put amazing memories you shared or the best things about them. Available as a Canvas or Poster in various sizes. 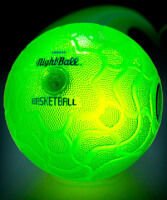 Light up the court while you light up the scoreboard and start ballin' with the Nightball Basketball.The motion-activated LEDs inside this indoor/outdoor ball illuminate when you start your game so it's easy to track your shot no matter how dark the court. Work on your jumper into the night watching the bright green ball trace fluorescent arcs through the air and into the hoop. The cool, radioactive-like glow of the Nightball will make you want to push back your games until after sundown. 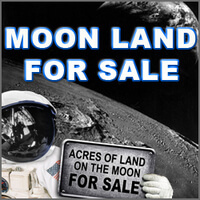 1 acre on the Moon - Yes It's true! You can purchase land on the Moon. 100% legal and real! Moon property is: a great gift, potential prudent investment and an interesting conversation piece. Attractive futuristic gift packages. Additional Gift upgrades are available: Custom Printing of Owner’s Name, Frame your moon deed or all additional documents and you can even add 5 or 10 additional acres to you gifts. 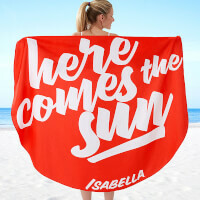 Trendy and fabulous, our Beach Please Personalized Round Beach Towel will make any trip to the beach fun. Metal-charmed jewelry for your hair and your wrist. 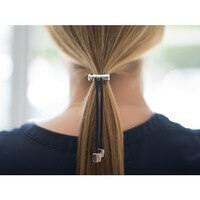 These accessories slide tight to hold your hair securely in a perfect high or low ponytail. Get your tablet out of your hands and into the perfect position. Tablift holds your tablet securely on top of bendable, adjustable legs, leaving you to enjoy it hands-free, even when lying completely flat. Use it in bed, on the couch, or on any uneven surface and it holds your tablet at eye level, which is easier on your neck. The flexible legs fold compactly for easy storage. Our name holds a special meaning to each of us - create a unique and wearable memento with our One & Only Silver Personalized Necklace. 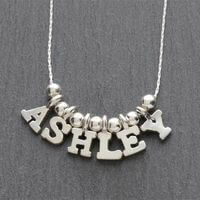 Commemorate her special name with our exclusively designed silver-plated necklace. 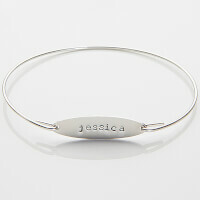 Our Silver Bangle Personalized Name Bracelet keeps you in style at all times!This is a great bangle to wear alone or to layer with other bracelets for a more stylized look adding a modern, fun twist to her wardrobe. 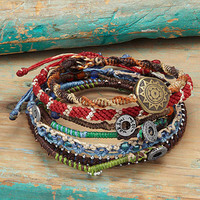 A unique gift for best friends, birthdays, graduations, bridesmaids, Mother's Day and more. Everyone appreciates a good love story, especially their own! Each page of the LoveBook has a reason why you love them. There are 100s of pre-made (but customizable) pages, or you can create your own from scratch with our drawing and stamp tools. It's almost as much of an experience to create as it is to receive it. Guaranteed Laughter and Tears! Hard Cover is also available. 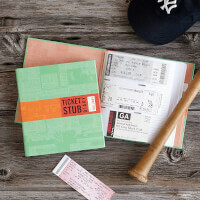 Cherish your memories and share your stories with the My Stubs Personalized Ticket Album - the perfect personalized gift for music lovers, theater enthusiasts and sports fans alike! 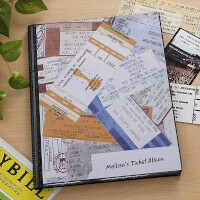 Our ticket album is the perfect item to display your entire ticket collection. Your original tickets are safely kept and nicely displayed for years of memories. 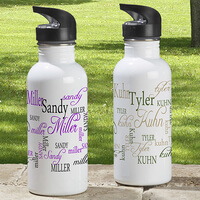 Helping the environment can be part of your daily routine with our reusable Signature Style Personalized Water Bottle! Send your child off to college or camp with our stylish Flower Power Personalized Flip Flops. The repeating floral design make these flip flops great for the shower room. 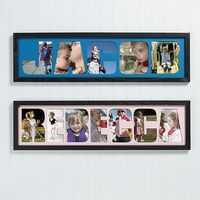 Make them truly your own when you choose from 3 color options and personalize with any name you specify. Makes a great gift paired with our shower caddies sold separately. 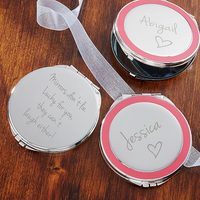 Our personalized Mirrors Don't Lie Engraved Compact Mirror will be a true reflection of her beauty and will put a smile on her face every time she uses it.This essential accessory was designed for women on the go! Perfectly sized to slip into her purse or pocket, she will use it often to touch up her make-up, hair and more.Makes a thoughtful gift for birthdays, bridesmaids and much more! 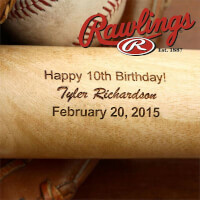 Whether they are just starting out on t-ball or they are a lifelong baseball fan, our Grand Slam Birthday Personalized Rawlings® Baseball Bat is certain to be a winning choice! Our Always With You Personalized Heart Keychain carries her keys and a special message from the one she loves everywhere she goes! Giving the putty from your childhood an illuminated edge, this plaything comes to life when you "draw" on it with the included black light keychain. Able to glow in the dark and change colors in the sun, this moldable putty won't dry out as you shape, shift, and scribble, then start all over again as the color fades. Keychain made in China. Putty made in the USA. 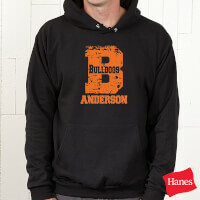 These personalized sweatshirts are the perfect way to show your pride for you favorite team while adding a personalized touch that makes it all your own! 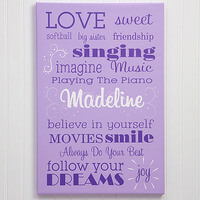 Choose from 10 fun colors of personalization. Choose your initial, the name for under the initial and the name within the initial.Available in sizes XS 2/4 - L 14/16 in youth and S-XL in adult. For safety reasons, only the adult sizes feature drawstring hood. Adult sizes come in BLACK only. Youth sizes come in BLACK, PINK and GREY. 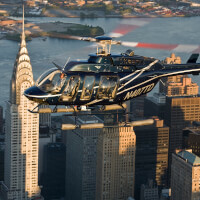 Enjoy breathtaking views of your favorite city with a scenic helicopter tour. Your pilot will fly you over historic landmarks and other points of interest giving you a different perspective on things as seen only from a birds eye view. 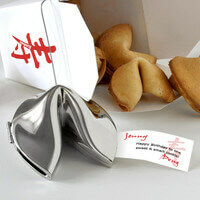 Personalized Silver Birthday Fortune Cookie -..
What good fortune lies ahead for the birthday guy or gal on your list? Give them a hint in your own unique way with our exclusive Fortunes of Longevity Silver Fortune Cookie. Everyone appreciates a good love story, especially their own! 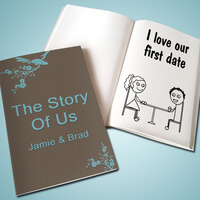 Each page of the LoveBook has a reason why you love them. There are 100s of pre-made (but customizable) pages, or you can create your own from scratch with our drawing and stamp tools. It's almost as much of an experience to create as it is to receive it. Guaranteed Laughter and Tears! Soft Cover is also available. 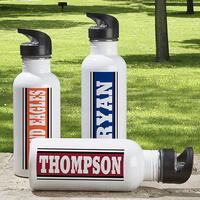 Aluminum Personalized Sports Water Bottle - You.. Helping the environment can be part of your daily routine with our reusable You Name It Personalized Water Bottle! Can be used for any sporting activities as well as camping, trips to the gym – anywhere you want to take a beverage with you. These fun Picture This! 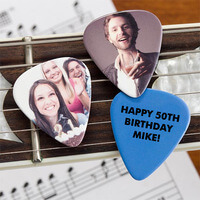 Personalized Photo Guitar Picks make great party favors and perfect gifts for music lovers! These custom picks are a great idea for birthdays, retirements, graduations, weddings or any other special occasion! 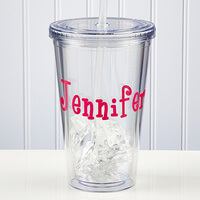 Personalized Reusable Drink Cup With Name -..
Our On The Go Personalized Acrylic Insulated Tumbler is perfect for any occasion, boating, the patio and much more. The ultimate carry all bag that hauls your dirty laundry in personalized style. It has never been easier with our Embroidered Pink Laundry Bag.Fashionable pink waffle-weave textured bag is a perfect gift for the graduate heading to college, or a first apartment housewarming gift! 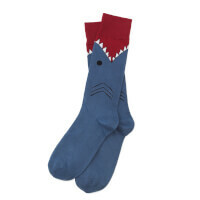 Live every week like it's Shark Week with a Jaws-dropping pair of cotton-polyester-spandex socks that add kick to your workwear. Whether you're circling the water cooler or swimming in deep water, you're sure to bring humor and style to any room with outrageous "shark attack" graphics. After all, business casual bites--so why not bite back? Choosing gifts for a 15 year old is fun, if a little bit intimidating. Teens in the 15 year old age group still enjoy silly gifts that may not impress a 16 year old, but they're also drawn to sophisticated electronics, apparel, and other items that adults are often drawn to as well. uGiftIdeas.com brings a variety of gift ideas for 15 year olds to the table, options that are certain to suit the many moods of the Fifteener. For birthday gifts for 15 year olds , look for slightly sophisticated trinkets for this age group, from electronics to jewelry, in addition to the outdoor sporty toys that still rock their world. 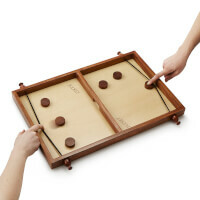 uGiftIdeas.com offers some sure-fire gifts for the 15 year old like the Lab Test Games, wooden "particle" models that come apart and are then reassembled - a science-inspired brain teaser for the future chemistry major (or any teen who enjoys solving complex puzzles). For the teen who lives in his or her tee shirts, the Shirt-of-the-Month club lets them choose a new tee shirt on the first of each month. Each tee shirt design is chosen by the teen from a huge catalog; their choices often represent their personal outlook on the world that only a tee shirt can convey. In keeping with the spirit of 15, uGiftIdeas.com offers the breakfast of 15-year-old champions, Pop-Tarts, in a personalized Happy Birthday or other occasion box. In the words of a 15 year old Pop Tarts gift recipient, the personalized toaster pastry remains "Righteous". Need help? Send all your questions, comments and suggestions to support@ugiftideas.com. Existing merchant? Sign in to merchant center to manage your account. Want to add your products? Submit a merchant inquiry or send an email to sales@ugiftideas.com. Want to advertise? Send an email to sales@ugiftideas.com to get our media packet. Social Media: Find us on Google +1, and Twitter. Blog: Find more suggestions and gift guides on our blog.